In 2018 the big winner of our Smogathon contest was the team Takachar. This Indian-American company developed a project that reduces the problem of excessive biomass and turns it into more efficient fuel. That way the local farmers can actually be a part of a fight against air pollution and increase their income by selling the transformed fuel. We sat down with Vidyut Mohan and Kevin Kung, the founders of Takachar, to discuss their technology and plans for the future. Maja Radwańska: My first question would be: how did the idea for Takachar came to be? And how did you come up with the name for it? Vidyut Mohan: Back in 2011, when Kevin traveled to Kenya to work as a global health consultant, he noticed a lot of charcoal being traded by the roadside, and learned that it was a common form of cooking fuel. Being curious, Kevin traced the supply chain of charcoal all the way to its source, where the fuel is typically produced by cutting down trees. Kevin started wondering about whether or not biomass such as crop and forest residues, when properly processed, can be adequate substitutes for fuel. This was the start of our adventure in utilizing biomass residues. The portmanteau name of our project, Takachar, reflects its partially Kenyan root: “Taka” is the Swahili word for “trash” and “Char” in English means “to burn” or can be substituted with “coal”. We literally turn trash into char. Maja Radwańska: You are an Indian-American team, how did you all meet and decide to work together? Kevin Kung: In 2013, we received significant support from the Tata Trusts in our R&D efforts through the MIT Tata Center. Consequently, I traveled to India to explore the commercial potential in this new market. Somewhat coincidentally, Vidyut was starting his Master’s thesis at TU Delft, focusing on the application of small-scale biomass technologies in rural India. We both visited a local agricultural NGO in India one day, and were introduced to each other and have been working together ever since. Maja Radwańska: Your technology is something brand new in the industry. How does the device work? Kevin Kung: This is a thermochemical process, meaning that we apply moderate heat to biomass such as crop and forest residues. This heat drives away the low-energy molecules (water and other chemicals), and what ends up is a densified form of biomass with reduced volume and weight, which makes it much easier to transport and process. We make this whole process possible on a small-scale, low-cost, and portable enough to be deployed in remote areas where small pockets of biomass are located. Maja Radwańska: Is it expensive? Who is the target consumer and can anyone, anywhere obtain and afford it? What is your biznes plan? Vidyut Mohan: We are targeting the existing small-scale processors/converters of crop residues in India as our first customers. What is most important for us is to understand what kind of value (cost savings, additional income) our units can bring to them first. Then we price our equipment accordingly, based on what they tell us is reasonable to pay, as well as what they can afford to pay. Normally, considering the cost of production of our units, the value that we create can be recovered within a year. Maja Radwańska: Is any, regular maintenance required for the devices? Kevin Kung: We envision that most of the maintenance can be carried out locally, even by the operators themselves. There certainly has been precedence in our Kenyan pilots where we have demonstrated that this is possible. Maja Radwańska: You were the winners of Smogathon competition. How was your experience during the event and in Poland? 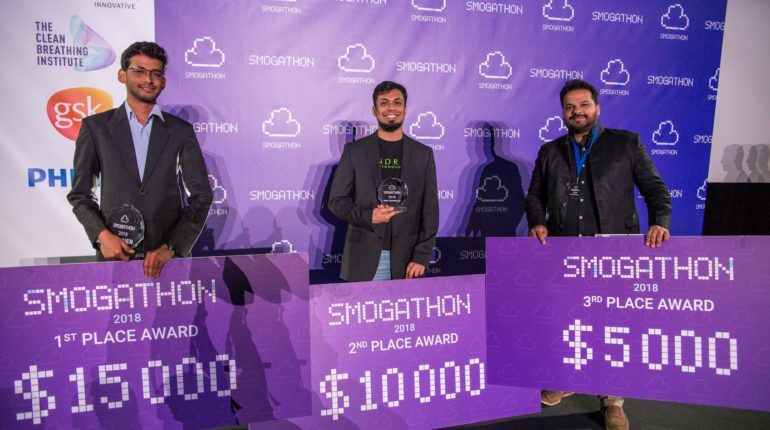 Vidyut Mohan: Smogathon was the first competition where I felt the judging delved many layers deeper into understanding the company. Before the pitch, each company had to defend their technological, socio-environmental, and business cases in front of a separate jury, which I found to be a very rigorous process. The process was a source of rich learning for us too. We also managed to make good industry relevant contacts during the program. Maja Radwańska: What are your plans for the future? Any new project ideas? Kevin Kung: Right now we are focused on running the initial pilots with our field-scale equipment, such that we can demonstrate our technical and economic viability within the next year or so. If our venture in our first market is successful, there are many subsequent markets and use cases that we can think of for our technology, including in the U.S., but we need to build that solid foundation first.